Landlocked Northamptonshire is often referred to as the county of "spires and squires" because of its many stately homes and ancient churches. A largely rural county, with few large cities, it is easy to overlook Northamptonshire. However at CCC we believe there is plenty of opportunity for a fantastic team building event. Northampton itself is steeped in history dating back to the Norman conquest of England. A treasure hunt in the city will take in the Castle, the most famous Norman castle in England, Market Square dating back to 1235, and a plethora of other attractions. Or perhaps you'd like to enjoy on a Cryptic Challenge, where teams go head to head in a range of physical and mental activities. 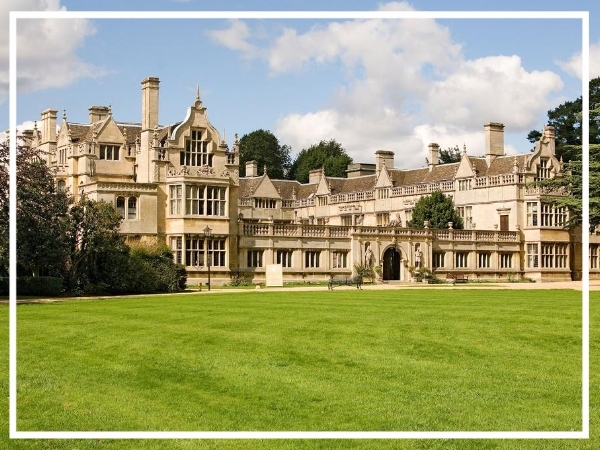 Give our sales team a call on 0845 006 06 06 or fill in our quick online enquiry form and let us plan your away day in Northamptonshire! Located at the heart of the beautiful Northamptonshire countryside, Sedgebrook Hall blends Victorian heritage with modern comfort to accommodate any type of away day! Boasting 23 meeting rooms, 102 bedrooms and landscaped lawns ,this is a great event location! With its magnificent 16th century facade and tranquil grounds, Rushton Hall is a Grade I Listed four star venue featuring a three AA rosette restaurant and indulgent Spa facilities, all set amidst lush green countryside. Just seven miles away from Northampton lies this beautiful former Coaching Inn, now one of the country’s top conferencing centres. With 32 fully equipped conference rooms and seven dining rooms full of character, Highgate House can cater for any size group. Next generation team building from the UK’s highest rated events company. CCC Events combine creativity with the latest technology and state of the art production to deliver the very best, award winning team building events. As industry leaders we provide outstanding value and peace of mind for our clients. Trusted by organisations large and small, we make every event the best it can be.